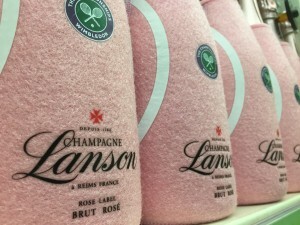 Home Blog Anyone for Tennis & Pink Champagne? Walking through the supermarket isles the other day i spotted these cool looking Champagne bottles and could’t resist taking a few snaps!! Lanson Champagne have teamed up with #Wimbledon to offer these amazing limited edition gift Champagne bottles for the tennis championships. 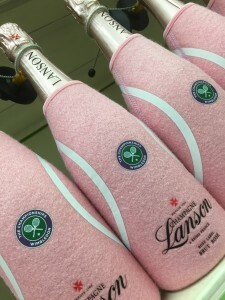 The eye catching bottles of Lanson Black Label together with Lanson Rose Champagne in their Wimbledon tennis ball jackets look awesome!! 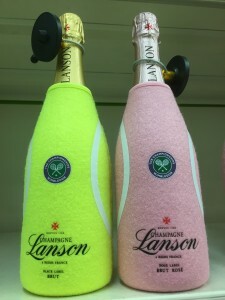 The Wimbledon Tennis Ball neoprene jacket for Lanson Champagne is clever marketing and can keep the chilled bottle chilled for up to 2 hours. Next articleCan crowdfunding help Greece out of its financial crisis?